Brady's travel plans consisted of climbing out of bed at 2:30 a.m. and getting ready to leave the MTC in the dead of the night. He thought he might be able to call us from the airport so I e-mailed him our schedule. I had my cell phone with me during seminary and told the students that if a call came in, they could excuse themselves and be on their merry way. (I am not so lenient with their phone calls.) I got home from seminary and checked messages on our home phone, and there was a message from Brady at FIVE A.M.!! I had my alarm set for 5, Melanie usually gets up at 5 - how did we miss him?? We didn't even hear the phone ring! He said "Well, I thought you'd all be up for family prayers by now, but . . . um . . . ok, I hope I get a chance to call you during our layover in Texas" (We have prayers at 6:00 Brady, have you forgotten our schedule in 3 short weeks?) Well, it certainly was good to hear his voice, but that would have been sad if that was all we got. Luckily, his stop in Texas was 2 1/2 hours so Dave and I were both here when he called and we got to talk to him for a good 45 minutes. He had only flown from Utah to Texas, and already was dealing with jet lag or something. He was so exhausted, he started dozing on the plane assuming someone would wake him up when they served breakfast. (apparently he hasn't flown recently, . . . no breakfast, you don't even get a bag of peanuts anymore - but way to stay optimistic!) Anyway, he woke up over Texas, incoherent and couldn't figure out what time of day it was, thought it was late afternoon and couldn't get a sense of time or place for a few minutes. Then he realized he missed seeing any mountains out the window of the plane and most likely wouldn't see any again until 2012. He sounded like he really had a good 3 weeks in the MTC and had learned so much. He said he couldn't even believe how much he could remember and retain from day to day. He made good friends within his district, had an extremely talkative companion, was surprised by the noise level that missionaries made up and down the hallways after time for lights out, never slept very well, enjoyed a little snow, loved the devotionals, got to attend the Provo temple once, hosted new missionaries once, had some interesting experiences with "mock" investigators, and was excited to get on to the real work in Illinois. He had absolutely no idea what the next few days would bring, not even knowing what town he would be living in. We are anxious to get a note or e-mail from him to hear how his first day or two went. He said he was feeling bad that every moment is filled and he can't even find a minute to say thank you to everyone that is taking such good care of him. Gretchen, he got your package. It surprised him that you'd go out of your way to do that for him. He love it, Thanks. And Debbie , he said on his last evening there, he checked the mail then turned the keys over to one of the sisters. She found him later in the evening and said she decided to check the mail one more time and there was a package of cinnamon rolls from you guys. He was so glad she thought to go back and check or he would have missed out. It was a delicious 3 a.m. breakfast as they were heading to the airport. We are loving Brady's letters and e-mails. He is writing so much more than I thought he would. As you know, he's not a long-talker. But his letters are perfect for us to get a sense of what he's experiencing and feeling. He calls me 'Mother' in his letters. This is a bit curious to me. He has never called me 'Mother' in his entire life. So, he is somewhere in Illinois now (or maybe in Iowa, Missouri or Indiana -- his mission spills a little into neighboring states). If you are reading this blog and want to send a note to Brady in the comments here, I will forward it on to him. His mailing address for old fashioned paper and envelope mail is on the side bar. I hope that's where you sent the package. This week for me has been great. Last night was the first night I actually got some deep sleep. It was so nice. Yesterday a district in our zone left for Montana. I was super bummed. Elder Seymore is so cool and funny. It's so quiet here without him and all my other buddies. Elder Taylor and I both woke up at 6:00 am yesterday morning to give them all hugs and high fives before they went to the travel office. We also took a ton of pictures Monday night before bed and exchanged info so I can go see them in Queen Creek after the mission. I know Aunt Lauri was wondering if she had taught them in seminary or something but I did not have a chance to ask them. They left before I got her letter. I'm actually about to go see if I can get some photos printed so if I can, I'll send them home. On Sunday, all the missionaries can go and do a temple walk. I kept my eye out for Kelsie and lo and behold, she was wearing a bright red blouse along with four other sisters in her district, it it wasn't hard to find her. I got some sweet pictures. I'll send them. Dad, I'm so glad to hear you are staying so busy. Even if you are unknowingly training your replacement. I know Heavenly Father is watching out for you, he always has. Just have faith and God will bless you in some manner. Remember faith=action. Mother, I'm happy to hear the Central walk went great. I still can't believe how far you walked. So far, I've only received an e-mail from Aunt Lauri besides family. I have to write her though. I'm writing to a few other people tonight so hopefully I'll get some response. I heard about Grandpa, it was hard for me to hear that. It was right after dinner and I got the mail and headed to my room real quick to read it. I started to tear up a little bit, it really came as a shock to me. So I had to pull it together because I had to usher at the devotional. Elder Evans of the Quorum of the Seventies spoke. It was very inspirational for me to listen to him. He talked about the Book of Mormon and how we need to read it for ourselves because the power of the book will flow into our life and get into our heart then we'll never know it's not true. I have actually been reading the Book of Mormon with serious study to know it. This came as an answer to one of my prayers. While I have been here I have already had many prayers answered. It is indescribable how simple the Lord works. It do know that I am supposed to be here. 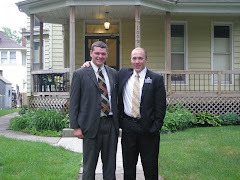 Before I came to the MTC, I just had a feeling that every time I thought about my mission, I knew I needed to be there. It was not a voice telling me but something in my heart that just pushed me to it. When I thought about it, I felt good, a comfort. That's why I haven't been scared or nervous about this whole thing. I knew I just needed to go and I did not need a reason. Last night I pulled out my patriarchal blessing, there were words and phrases I had never seen before. One of these was "You shall be blessed that when you served the Lord honorably and wholeheartedly as a full-time missionary . . . " It was when I go, not you will be blessed if, or if you are spiritual you will be blessed, but when. The Lord has prepared me for this mission, and the second I left the car when you dropped me off I have never had more desire to do something with more honor, and do it 100% wholeheartedly. To follow with exact obedience. That's why I say my whole mentality has changed. This is not a change for the next 2 years but the beginning of growth for the rest of my life. I have read scripture and understood it to the T. I have never had this happen or understood something with such clarity before, and I love it. I feel the spirit every day as I read, study, listen in class to a teacher and even writing this letter. The Lord has a duty for me and I know it. Thank you for the mints Melanie, and the tie. Also I got a package of cookies and a card with candy. Today was weird. Yesterday and today I've been getting angrier and angrier. The maturity level of this group is starting to wear on me. Everyone is getting more comfortable with each other and are interrupting class for jokes and off topic comments. I was really starting to get enraged tonight. I almost came to a boiling point this evening in class but our teacher, Sister Galli, based her whole lesson on this issue and called some people out and really straightened us out. She even helped me as a district leader with a list of goals to help the "younger ones". It's funny, I had been praying about this issue since Monday and the answer was so simple. But right now I'm eating Peanut M&Ms and drinking a cactus cooler so it's all better. I want to write more on the e-mails, but I can't think in a laundry room full of 40 missionaries doing laundry. It's the only time to e-mail and it's timed. I've loved your mail from everyone in the family and Aunt Lauri. I want to write everyone and then some, but there is not time in the day. I am so busy! But that's a good thing, right? All I have is this little pocket notebook that I can write my thoughts down during the day and at the end of the day look at it. It's my little quiet place . . . tee hee! The food is something else. You know how everyone told me, don't drink the orange juice? No, it is everything else that will give you gas! If you want to know how I feel, just read Jeremiah 4:19 , it should explain everything. Being a district leader just means I have to go to more meetings than everyone else and report about everyone and do more paper work. The hardest part is keeping everyone on task, and being the example. But maybe that is what I need to learn, who knows. I miss Lexi too, by the way. I actually found some Lexi hair on my stuff and put it on my desk in honor of that little squirt. Mother, I did get the immunizations you sent, thanks! I hope your Grand Central Walk went smooth, even with all of the 'concerns'. Rachel I hope your diet goes without a hitch, don't get tempted endure to the end! --it's one of the principles I've been learning. I hope school treats you good for you and Roxanne. Dad, I don't know what to say about Levi and Kovin in your primary class. I hope you get some extra help from someone! Just be patient and hand out many stickers. It sounds like work is keeping you busy so that's always good. Mother, the beds are not nice. They are extremely stiff and I have a hard time falling asleep every night so far, but no biggie. I'll be out of here soon. I received my travel plans today and the morning of the 26th I get up at 2:30 to be at the travel office at 3:00, then fly to Texas, then to Illinois so the whole trip is going to be almost 5 1/2 hours of flight time, plus 2 1/2 hours layover in Texas, I'm excited . . . I still have only seen Kelsie and first two days I was here. I am trying to find her so I can get a picture, but so far, no luck. Sundays are slow unless you're district leader, then you have meetings all morning, then Sacrament meeting, then Sunday School, then class, then devotional. We all have to prepare a talk every Sunday for Sacrament meeting, it's hard. But I don't get stressed out though, the only thing that really stresses me out is organizing my day in a planner. It kills me to be so organized. We had a devotional Sunday by the MTC director, but on Tuesday our devotional speaker was L. Tom Perry, pretty crazy, I know. No snow yet. The only gloomy day was the day you dropped me off, but is is a bit brisk in the morning. This morning we had to be at gym at 6:35 am and all I had on was shorts and a t-shirt, I got the shakes. I received a name badge the second I walked into the MTC, they are on top of things here. I took some pictures at the temple on Wednesday but I want to get a few more taken before I send them home. It's really been great though, the district in the room next to us are cool and we always hang out and eat snacks together, funny I know. But at gym we are the outcast basketball team that stinks so we all play together. I found a cool red Nike headband so I've been rockin' that to gym and it gets all of the guys pumped and ready for basketball. But today, Jan 15, yes it took me 2 days to write this letter, I ran a mile at gym to try to wake up since it was 6:35 in the morning. That was a bad idea. My legs are sooooo sore and the altitude doesn't help. I love you all and love your letters. Keep on sending them. They inspire me. Right now I'm doing laundry and there is a timer on my e-mail so if I can't say all I want, I'll write some letters tonight. Roxanne, you can have the speakers and don't worry about it they are yours. Just don't leave them on too long because there is a weird noise it makes--BROTHER!!!!!. It was great hearing from you, all of you. I have to get the mail for my district every day and its always great when I get one from the family. I hope school goes good for Rachel and Roxanne. I am just so busy here. I don't even have time to think, but that's a good thing it keeps me on track. Today we, all eight of us, went to the Provo Temple. Us Elders did a session it was awesome! I'm so glad that it's p-day. Since you dropped me off its been non-stop crazyness. I saw Kelsie 2 times so far. Once the first day I was here and the next morning at like 7, I wasn't in the zone and didn't get a pic with her. I've met some funny Elders. There is a whole group from Cave Creek that are in the next room from us. Elder Seymore is the funniest guy I've ever met, but I've got to hold back sometimes or we'll get in trouble. District leader has been a challenge. The night of the second day the branch leaders assigned me and it was so hard to keep track of everything, but now that its after Sunday everything has been just flowing. Time has been flying by so fast and I'm learning so much this first week. Yesterday our district went to the RC, or the phone room. We only did outbound calls, just making sure that the people that ordered BOM or Bibles received them. I probably called 30-40 people but only one guy answered and the person I was looking for wasn't there but it was a good experience for my first missionary work. 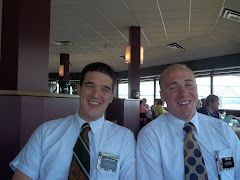 My companion, Elder Taylor, and I went to the TEC where we go through teaching progressive investigators. The couple we had were church volunteers but they can't break character as investigators. We went through the first lesson and answered many hard questions. We then came back and placed a BOM. When we were leaving, they broke character and told us they felt the spirit and that we will be great missionaries. It was awesome. I love and miss you all. I'll write some more letters tonight and send them. I can't seem to think in the crowded laundry room. Mom if you're sending this e-mail out to everyone check my spelling. Love you all and Melanie, send me some breath mints please!!!!! Today has been so crazy. We did immunizations today and it dawned on me that I never did pick up my records from the doctor. So here is a slip they gave me to have it faxed over, if you could do that it would be great. Everything here is so fast paced. I have no time to think, and right when I thought I was organized I became the district leader! On my second day. Melanie, if you would be so kind as to send me packages of breath mints that would be great. You were right, no gum. I am so stressed out right now. I have never had to be so organized and I don't really know how to do it. Well, it's 10:30 and I need to go to bed. I love you all so much and thank you for the package. On Saturday, we received a hand-written letter from Brady, apparently written his first night there. So far the MTC is . . . nice. My companion is great. His name is Elder Taylor and he's from Utah. We both like cars and mechanics so it wasn't hard to break the ice. He grew up on a farm and is excited for Illinois to see all the farm equipment. No so much me. 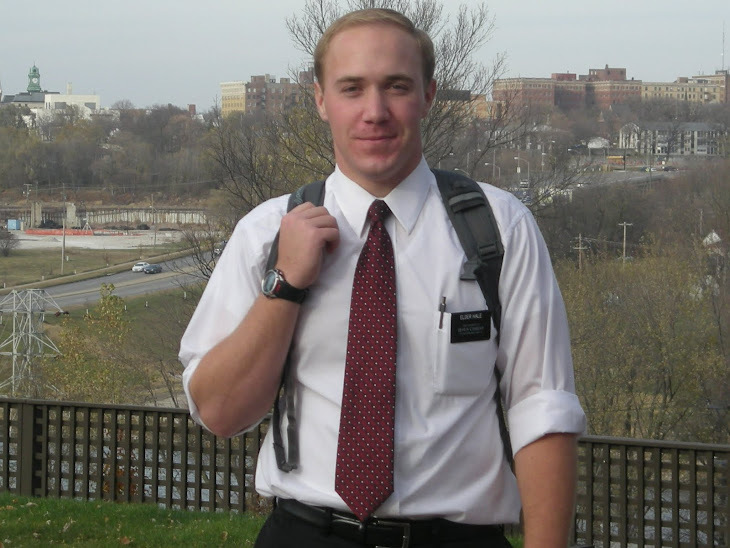 In my district there are four other Elders going to my mission including Elder Taylor. There are so many things to try to remember on my first day. It's a little stressful. We also jumped right into classes. We have already gone through some investigator role play. The schedule is also crazy! But I'll get the hang of it. I already received a package, I'm guessing it was from you guys, but I'll find out tomorrow. I'm leaving here on the 26th so I'll find out my other address then. I just found out we only get 30 minutes of e-mail time on the computer so if I get timed out or something, I'll send a letter. Wednesdays are P-days so you should hear from me then. I love you all and already miss you. I'm doing good though and Mom, they do feed me. Hope you had a safe ride home. What are we going to do without this kid??? Goodbye Brady! See you in two short years!